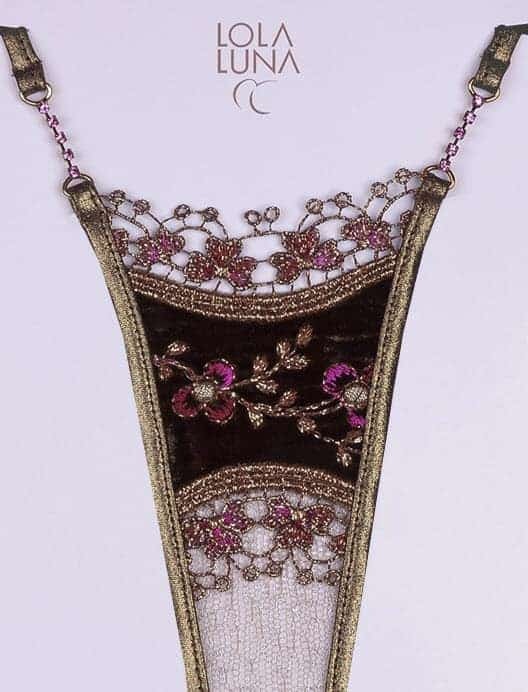 Gorgeous Lola Luna G-string features embroidered velvet front panel in deep plum colour and gold metallic strings and finished with rhinestone side enclosures. 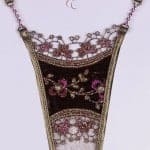 Gorgeous Lola Luna Irina G-string features embroidered velvet front panel in deep plum colour and gold metallic strings. Finished with rhinestone side enclosures. Another stunning creation from Lola Luna!